Attended another awesome event last week! Pandora 3rd Anniversary & Re-opening Party! PANDORA jewellery is sold in more than 65 countries on six continents through over 10,000 points of sale, including more than 750 concept stores. Founded in 1982 and headquartered in Copenhagen, Denmark, PANDORA employs over 5,800 people worldwide of whom 3,900 are located in Gemopolis, Thailand, where the company manufactures its jewellery. Pandora 3rd Anniversary & Re-opening party was held at Raffles City, which is the re-opening outlet at Raffles City. Flying Dutchman was the host for the party! He want us to guess what is the price of his customized Pandora bracelet! And those who guess correctly, there will be Pandora watch and accessories as the prizes! You want to make a guess too? We got to write our estimated price of the bracelet on the paper leaf and hang it on the plant..
Just show them you have downloaded the Pandora IPhone or Android Apps on your phone..
You will get a cupcake! Some of their latest collections! I love the bracelet on the right! Can you see the kitty charm?? Refreshment! The mini macaroons really yummy! Not to sweet and size is just nice! Ballet performance during the party! Pandora Singapore In Charge addressing during the party! And he also presented the prizes to the 3 lucky winners who guess the price of Flying Dutchman’s bracelet correctly! The price of the bracelet is……. Time for picture taking! Before that, we were told that we could move the charms around on the board! We were like… where to stick the charm? Enjoyed the party with Elrica, Mag & AiSakura! Had a great evening with the ladies! 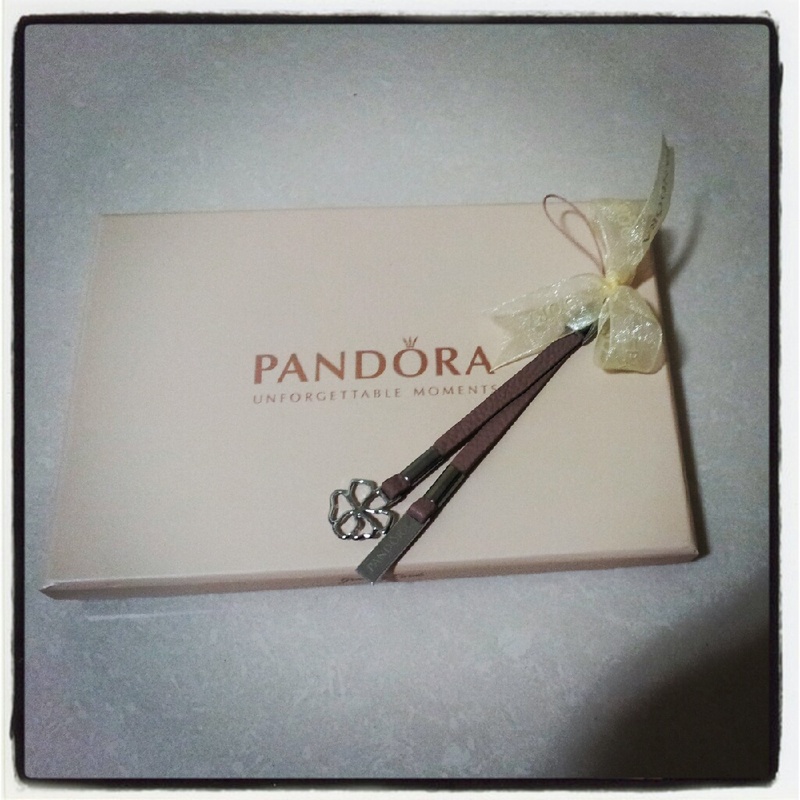 We were given a Pandora handphone charm each! I’m going to end off the post with a picture of Mag & me! Love her.. Thanks buddy for bringing me to the awesome event! Thanks Pandora and Crowd for this event! Visit http://www.pandora.net/en-sg & https://www.facebook.com/pandorajewelry for more info! Wow. How do u get to go to a lot of blogger and sponsored event.